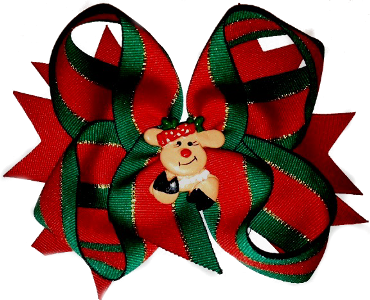 This two layer hairbow is made with Christmas colored grosgrain ribbon and a layer of spikes. It is topped with a reindeer resin and will look so cute on your holiday pictures! Add this to her holiday hair bow collection.